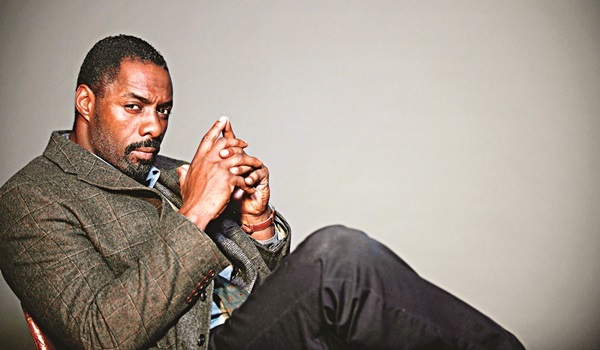 Hea��s BEING tipped to be the next James Bond, and we think Idris Elba will fit right in, following his successful run as John Luther on the crime series Luther. A toughened Detective Chief Inspector (DCI) in the Serious Crime Unit, Luther takes his job very seriously, to the extent that he is consumed by the darkness of the crimes he solves. The first episode sees him unable to arrest Alice Morgan (Ruth Wilson), a murderer who turns into his confidante. Elba tells us more about the psychological thriller which sees him fight his own demons too. I guess ita��s just the history of who they both are and the sort of journey that theya��ve both taken along the seasons of the show. Alice and Luther share an intellect that they both thrive on. And because of the cat-and-mouse game between them, they are attracted to each other and hold a secret about the other. Alice has a real understanding of what Luther aspires for but I dona��t think Luther seeks happiness, but some sort of satisfaction. Advantages of doing the show in limited-run installments. One advantage is that Ia��m less depressed for most of the year, and thata��s good! I like not being depressed because ita��s quite a dark show, and I take my work home with me. Also, the audience seems to be happy with this really crazy ride in short bursts. As an actor, it gives me an understanding of what to do next a�� giving myself some space and building an arc over time. Ita��s rare, definitely, for characters to be built that way on television. But I think it represents the new trends of how audiences are absorbing TV. Season onea��s Luther was definitely just coming out of the end of a very odd, weird, dark time. It was stuff that we didna��t really explore, but post-traumatic stuff that happened. He was willing to kill someone, practically in the first season, in order to get to the truth. And by season three, I think he stabilised himself somewhat, even though hea��s gone through such trauma. Hea��s managed to stabilise himself so that he doesna��t get to that place as quickly and as recklessly. So it has been a massive change for him. I wouldna��t say hea��s grown up but he has definitely started to grasp onto the idea that he just cana��t get away with the way he has been living. He has even started smiling, from happiness not irony. Good work or mass appeal? different from something else Ia��ve done before, and thata��s how I am going.